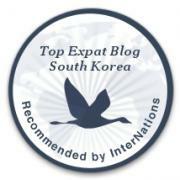 Our students have been mentioning muju mountain ever since the first snow fall. So, we looked into it and for 83,000 won, we received a bus ride directly from EMart, snow board rental, ski pants, jacket and lift ticket. 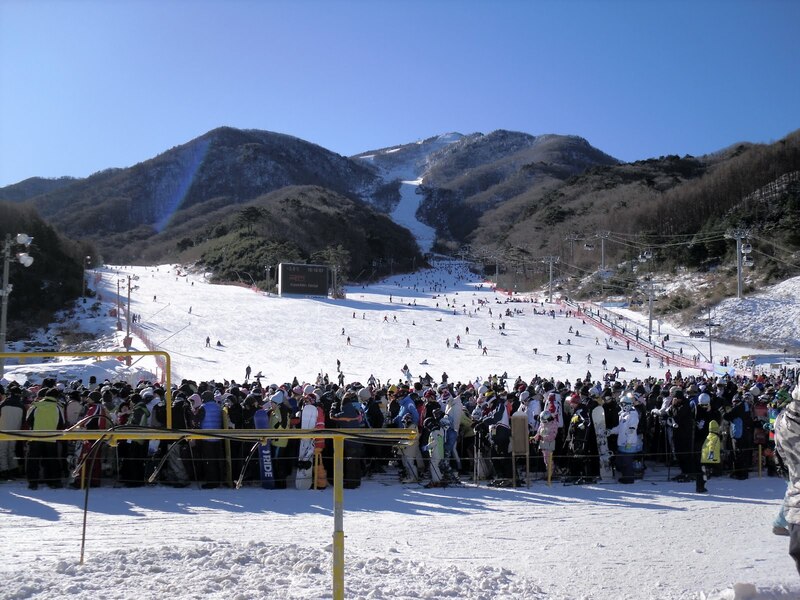 We were warned the Muju Resort would be crowded, I believe it is the only place to ski anywhere near the southern provinces of Korea. We picked up the bus at 5:30 in the morning and rode for a little over 3 hours north east to Muju. When we got there we were given our tickets and such and got in line for ski wear…it took us another hour to get through the lines and get geared up. 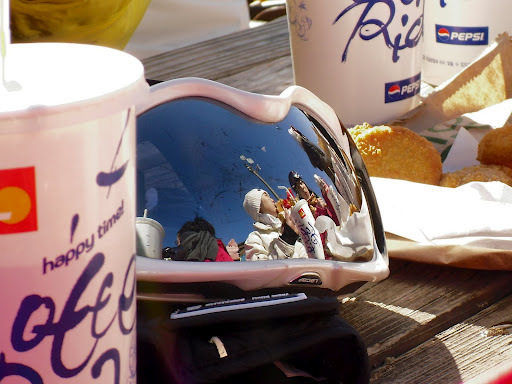 The lift line was another 45 minutes and a quick 15 minutes later you were at the bottom of the slopes again. There was no fresh powder and so many people. Adam and I spent most of the day people watching and boarder watching. 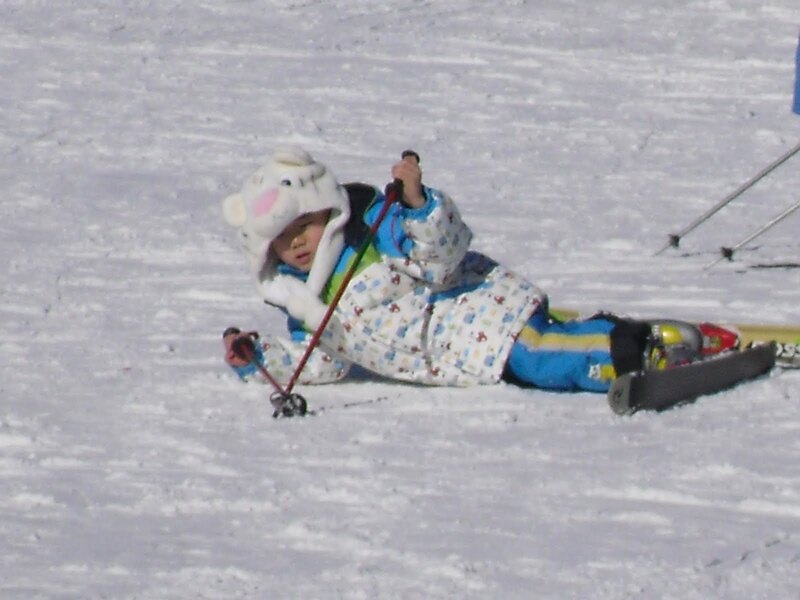 We spent a fair amount of time watching the kids with all of their gear on play in the snow and attend snow school. The sport is quite in amazing on in my eyes (coming from Florida) People were decked out in some of the most colorful clothing and expensive skiing supplies. They only ski two or three months out of the year, and most people looked like they were pros out there. 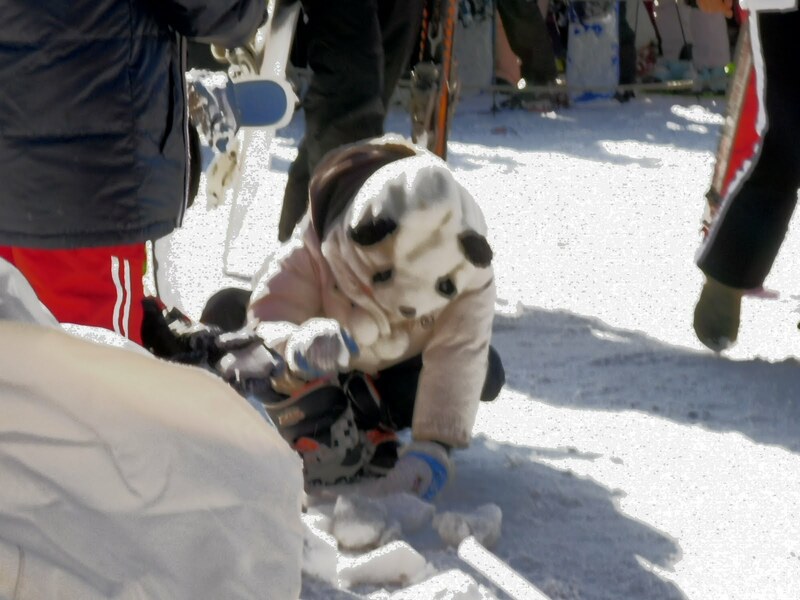 Of course the kids also had on their cute animal hats, this one actually looked like a panda bear dressed as a kid playing in the snow. 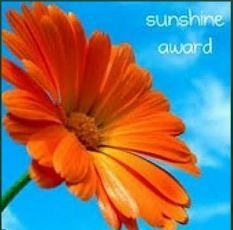 If you are a seasoned skiier or snow boarder you would definitely have a blast. They have 14 runs and 2 trick areas. If you are a beginner bring some padding and patience. 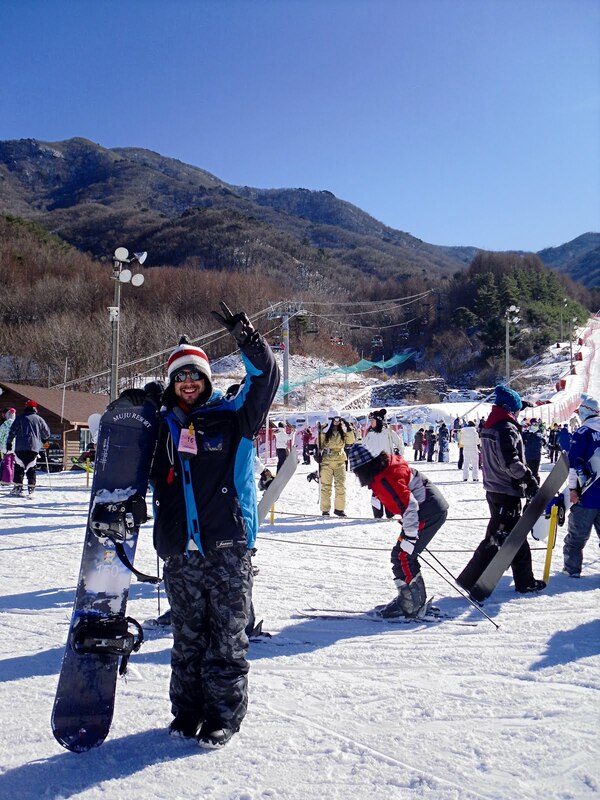 Adam looked like he was ready for the Olympics with his snowboard in hand!